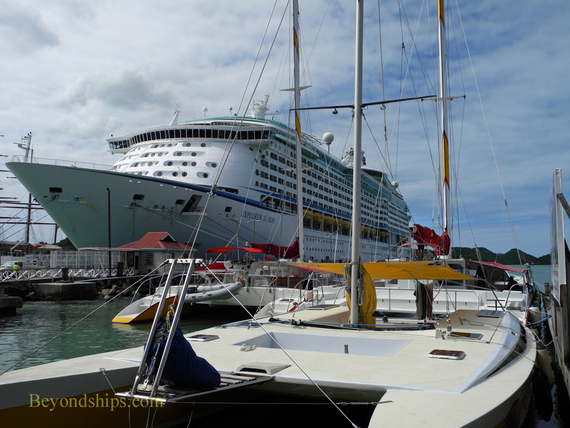 Left: Explorer of the Seas at the Heritage Quay Pier. Below: The cruise port area in St. John's. Above: The pedestrian mall in Heritage Quay. Below: The Redcliffe Quay area. 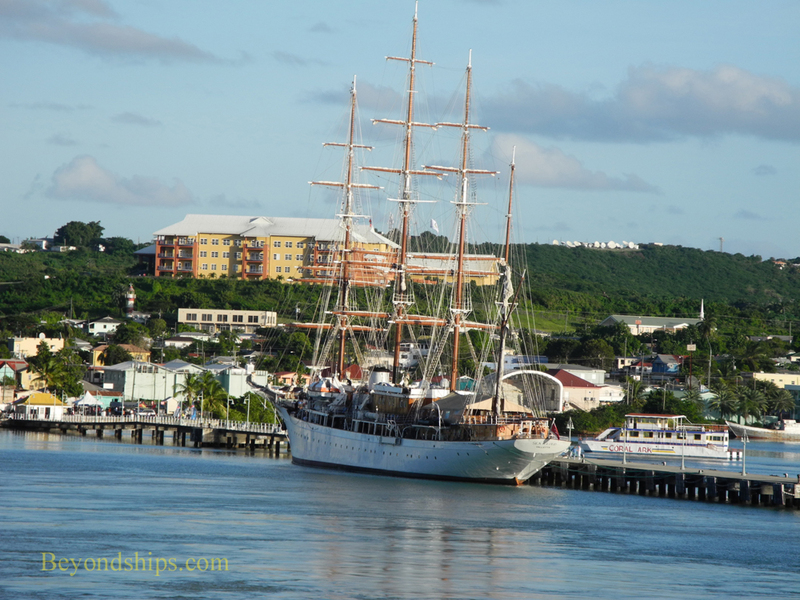 Antigua has become a busy cruise port. 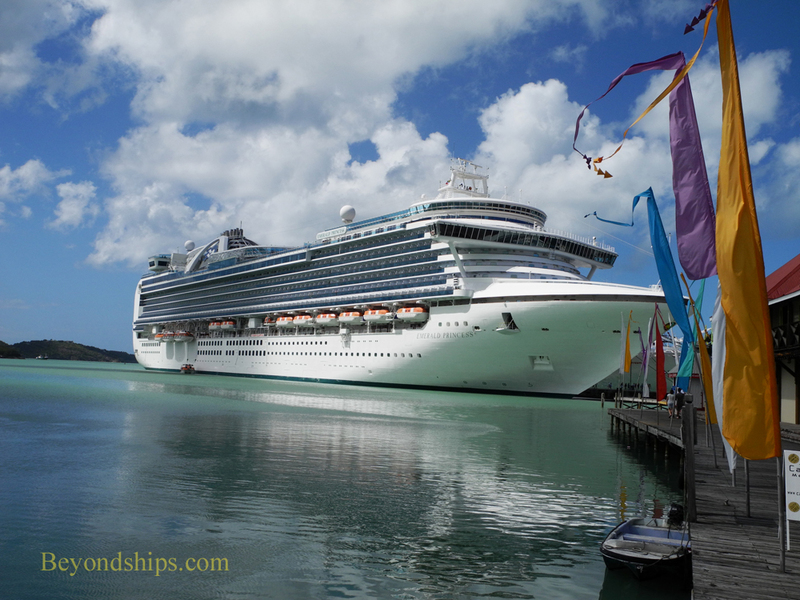 The main cruise port in Antigua is in the heart of its largest city St. John's. * There are two piers essentially next to each other: the Heritage Quay Pier and the Nevis Street (sometimes called the Redcliffe Quay Pier). Cruise ships dock on both sides of the piers. Directly at the end of the Heritage Quay Pier is a pedestrian mall called Heritage Quay. 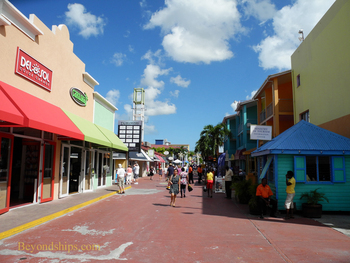 This area includes boutiques, restaurants, bars and a casino. It is not unusual to see street performers at work along the mall. Just south of Heritage Quay is Redcliffe Quay, a former slave compound that has been transformed into another duty-free shopping area with restaurants and bars. 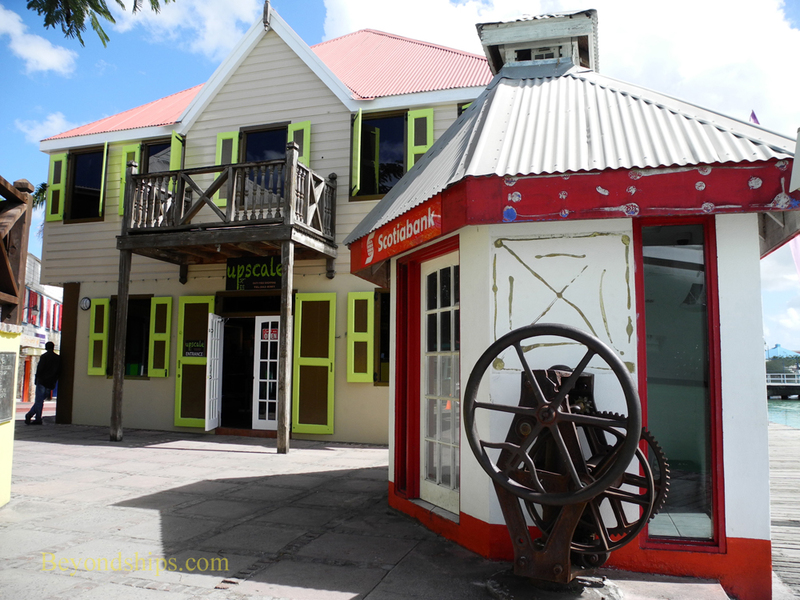 The eye-pleasing colonial era buildings are painted in bright colors. Adjoining Redcliffe Quay and directly in front of the Nevis Street Pier is a parking area where the taxis and mini-buses assemble to take passengers on shore excursions. 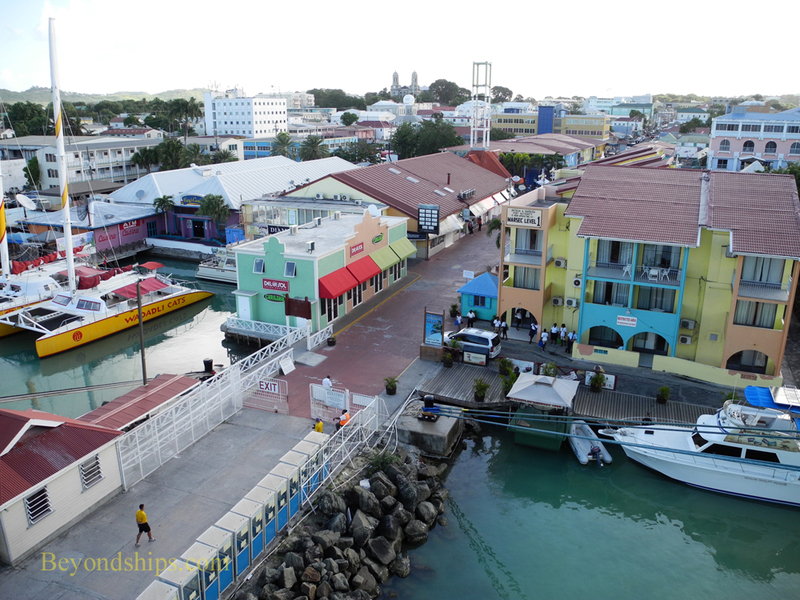 Passengers exploring the island independently can find taxi drivers eager to sell tours of the island soliciting business along the Heritage Quay pedestrian mall. The drivers in orange shirts are members of the St. John's Taxi Association and are the only ones allowed to solicit passengers in the cruise port area. 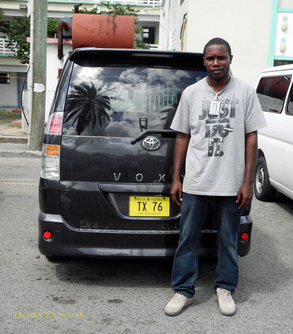 Antigua has other licensed taxi drivers but they must be contacted independently or outside of the cruise port area. These drivers typically wear their licenses and drive vehicles with a yellow "TX" license plate. Taxis are not metered but the fares are regulated. Nonetheless, drivers and passengers typically discuss the price of the journey before setting out. 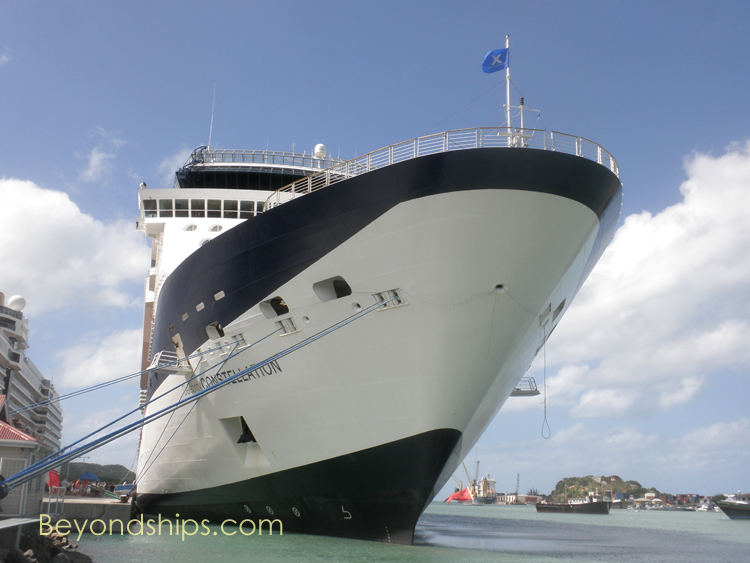 *Some small cruise ships are able to dock in Falmouth Harbour. Ships can also dock at Deep Water Harbour near St. John's. Above: Mr. Ralston Nutganistan with his taxi. (see links page). Below: Sea Cloud at the Nevis Street Pier. Above: Celebrity Constellation in Antigua. Below: Emerald Princess at the Heritage Pier.